Question 2. The output of my matching network isn't equipped with a coaxial connector. How can I connect your probe inside? Here is an example of an integration in a matching network. 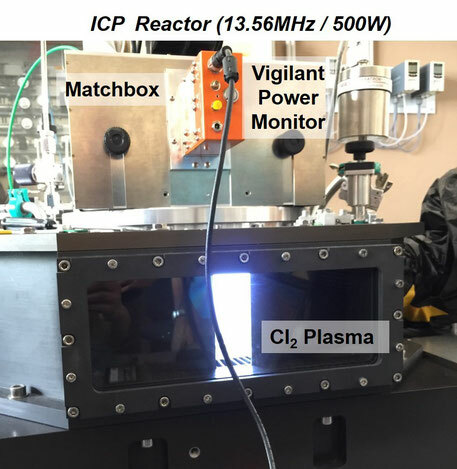 The Vigilant Power Monitor was inserted into the matchbox of an ICP reactor excited at 13.56MHz (500W). The reactor properties are described here. The modification of the matchbox was quick and easy. We provided a mounting kit and support to facilitate this integration. 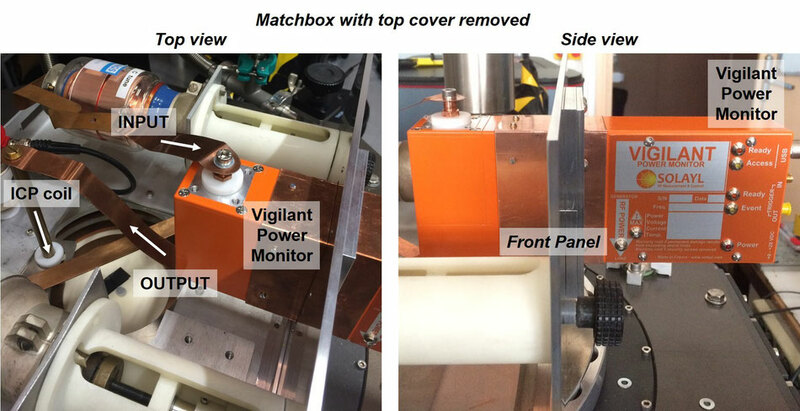 The front cover of the matchbox was machined to accept our mounting kit. The probe is equipped with adapters to connect its ports to copper straps. The probe was connected in series with the planar coil input.